As the end of 2013 nears, we thought we would make one last post before the school district holiday break begins. We are looking forward to spending time with our families and will take a break from writing on this blog until the school year begins again in January. In the meantime, we thought we would restate why this blog exists and our mission in continuing our commitment to providing insight and information to the District 181 community. Back in May of this year, we, as D181 parents and taxpayers, believed that only one side of the story was being told from the administration and board of education regarding the current state of the district. Communication from the district was sanitized; pieces of information waffled out on occasion in board meetings, and the rest was controlled through stringent settings that facilitated one-way directives from administrators to attendees. Such is still the case, months later. We became increasingly frustrated having participated in these formats and believed the public deserved to know the truth about how the sweeping district changes were impacting our children. Furthermore, we began to see how changes in teacher delivery and district ideology were negatively affecting our own children day after day, with seemingly no discussion or dialogue occurring at board meetings or other public settings. Now, after 80 posts and (as of this writing) 57,600 plus hits, we would like to believe this blog has at least provided some insight as to the lack of transparency our leadership currently promotes and the BOE condones. This blog has been active since May 28, and we appreciate the comments community members have taken the time to post themselves. We would like to thank the community for your support and continued hits as they keep us motivated to continue what we believe is our civic duty to inform the public about the misguided and detrimental direction our district is currently moving toward. The events of this week regarding the math acceleration and how it will impact our children’s success at the high school is just one such example, with many more we could mention. "Philosophical Difference" or Reckless Disregard of Legitimate Concerns by Hinsdale Central High School's Math Department? As we near the end of the first half of the 2013-2014 school year, we wanted to spotlight what we believe is one of the most serious concerns we have identified this year -- the disconnect between what the D181 administration believes is the correct course to take with the Math Curriculum -- the plan to accelerate all students by one grade level so that all students will complete Algebra before they begin high school -- and the position taken at D86 by the Hinsdale Central High School math department -- that not all students should be accelerated in such a manner. Dr. Schuster, who by her own admission at the last board meeting, has not spoken to the math department chairman, claims that the two districts simply have a "philosophical difference." We don't care what she calls it, the point is that D181 feeds into D86 and the two districts should be on the same page. They clearly are not and as Concerned Parents we find this completely unacceptable. Not only should both districts' curriculum departments be collaborating, but the expertise of the math department chair at Hinsdale Central should be deferred to, rather than the D181 administrators who do not have math backgrounds and are certainly not experts in math, let alone curriculum. We plan to follow very closely what the D181 Board of Education does in 2014, now that it has learned about the difference of opinion between the 2 districts. Because we have received many comments on the math issue, we have decided to post them below so that they are easy to find and update in the coming months. One of them references an article that was provided to a parent by the Hinsdale Central Math Department Chair. We encourage all of you to read it and circulate it to other D181 parents. The article is called "Algebra: Not 'If' but 'When'." It was written on December 3, 2013 by Linda M. Gojak who is the President of the National Council of Teachers of Mathematics. 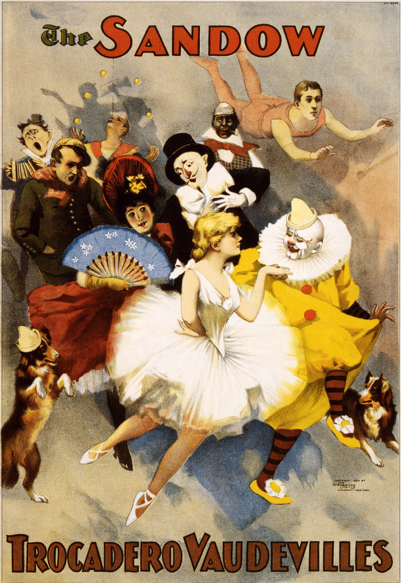 showing dancers, clowns, trapeze artists and costumed dogs. different performers doing songs, dances, and comic acts. 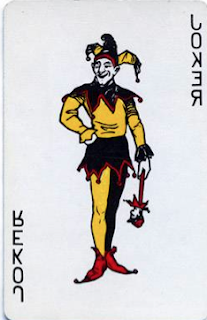 As we bloggers listened to the last open BOE meeting for 2013, we were struck by the similarities between our school board, superintendent, and her administration, which for all intents and purposes resemble the construct of an old, Vaudevillian traveling team of players. We have seen all of these cast of characters demonstrate their stand-up skills at various stages while at board meetings, lunch and learn get-togethers, a common core math meeting, RtI meetings, community engagement, etc. There is definitely an aura of theatrics, which hearkens Vaudeville, as all of these meetings foster one-way communication from the board or administration to the audience. Even when parents offer suggestions at engagement meetings, such suggestions are never acknowledged or rarely acted upon (unless a petition drive is initiated that results in hundreds of signatures advocating for change). So, as we see it, the staging of these events is purely for entertainment purposes on the part of the players. We parents see it, however, as a crusade for the players’ agenda without realizing the impact their ideology and decisions are having on our children who sit in classrooms throughout the district every day. No doubt about it, the key players continue to tap dance, spin, pontificate, and twirl in and around important issues facing our children (as was evidenced at the last board meeting), all the while our test scores dip down under the weight of an unfounded, non-researched totally inclusive one-size-fits-all ideology. One of those key players is, of course, Dr. Schuster. "Ms. Vorobiev, Mr. Heneghan, Ms. Garg,and Mr. Yaeger voted last night to keep the tax levy at CPI even though the administration wanted it higher. Turek, Nelson and Clarin voted to have it higher than CPI. Keeping the tax levy at CPI won. Dr. Schuster and team did a bunch of scare tactics about what was going to be cut and how it would affect the children. Yaeger cryptically alluded to two months from now things would be different and we would not need drastic cuts. We have come to expect a bait and switch game from the current D181 Administration. For example the Gifted review morphed into the Advanced Learning Plan then morphed into the Learning for All Plan. Or the minimum standard required to stay in an advanced or accelerated math level was lowered from 80% to 70% to now no percentage needed, just some number on a scale of 1 to 4. Now it appears that actions by Dr. Schuster and her "team" -- as Board Member Nelson likes to call them -- are about to have a direct negative impact on the wallets of every D181 tax payer. As Concerned Parents we wanted to make sure that all of our readers were made aware of her most recent bait and switch as, in our opinion, it evidences that we can no longer trust that anything Dr. Schuster represents -- even to the Board of Education -- will not be flipped, switched or changed. This time it is the annual tax levy extension that the Board of Education must approve at the December 9, 2013 Board Meeting. Back on September 23, 2013, during the Board Meeting at which the BOE approved the 2013-2014 Annual Budget, Dr. Schuster represented to the Board that the administration understood that the "directions" given to it by the board were that the upcoming tax levy would only be increased by "the cost of living increase," that the district must "live within our means" and that it must "balance the budget." (Click to open and then scroll to page 2 of Budget PowerPoint.) Page 7 of that PowerPoint assumed that the 2013 tax levy would at most be increased by 1.7% which was the CPI. The rest of the PowerPoint explained how the proposed revenue would be spent in order to achieve a balanced budget. Now that you have read the parent, resident and staff survey comments that we published in our last post, it is time to reflect on what they mean. We are grateful that 686 individuals took the time to complete the Fall Survey and provide substantive, meaningful comments -- both complimentary and critical of what is happening in D181. (Click to open Feedback Report with participant data numbers.) Now that the feedback has been provided to the board, it is time that they do something with this information, not just ignore it and look at the statistical results the administration will present at the December 9 Board meeting. The BOE needs to place more importance on the information provided by the 686 individuals who took the survey than on the feedback provided at the other two feedback opportunities the administration discusses in the Feedback Report presented on Board Docs. (Click to open Feedback Report PowerPoint.) According to Communication Director Bridgett McGuiggan’s report, there were 52 “individuals” present at the October 7 Visioning Workshop. She did not provide a breakdown of the number of parents, community members, teachers, staff and administrators that participated, so we do not know exactly how many parents had provided feedback during that forum. But you may recall that we wrote a post on this “Workshop” and pointed out that the participants were handpicked. It was not open to all. (Click to open post.) Ms. McGuiggan then states that only 20 “individuals, not including staff volunteers” participated in the TWO Community Engagement Sessions held on November 12 and 13. Those “individuals” we assume are parents and community members, since “staff volunteers” would probably include the principals, teachers and administrators, that we have learned filled up most of the seats or, in the case of some of the administrators, simply stood around talking amongst themselves while the small group discussions took place. It is quite telling that in a district of 3951 students (per the information provided on the Illinois School Report card – Click to open D181 Report Card), only 20 parents showed up to the most recent community engagement sessions. We know from past years, that the attendance used to be significantly higher. For example, in October 2010, 158 parents, staff and community members attended the two sessions (Click to open Board Docs report.). We also know from speaking with many parents, that they will no longer waste their time attending these rigid, restricted and in the opinion of some orchestrated and manipulated feedback sessions where the outcomes seem predetermined even before the sessions are held. Why would anyone waste an evening away from family when it seems that parent questions go unanswered – if parents are even allowed to ask questions -- and when opinions, input and concerns are ignored? Click to open Parent Survey Results. Click to open Staff Survey Results. Click to open Resident Survey Results. Later this weekend we will publish a post that will focus on what the survey results and comments mean to us as Concerned Parents, and what we hope they will mean for the Board of Education. It is important to point out that the comments were buried at the end of the survey results presented on Board Docs. Rather than keep the Comment questions in numerical order as they appeared in the survey, they were moved to the end of each constituency group's survey results document. By doing so, the actual subject areas that respondents addressed are not clearly explained. Nevertheless, the subject areas of the comments are, in our opinion, pretty self-explanatory, and the content so important that we felt rather than simply summarize them, we would print them here for you to read in their entirety. The comments are presented in the following order: Parent, Staff and Resident. You will note that rather than be completely transparent, any time a PERSON’S NAME was cited by a respondent -- in either a complimentary or critical manner -- the Administration blacked it out. In some case, the name can be inferred from the remaining comment, but in other cases, you will simply have to make an “educated guess.” We are pretty sure you will be able to figure out who is being referenced. Just for fun, we are also listing in the "Labels" of this post, the names we believe were redacted by the Administration. You can use them to fill in the blanks. And because we are so appalled that the Administration actually felt it necessary to protect 2 board member names that were cited by a Resident who expressed disappointment in them for their recent comments on the Freedom of Information Act, we are "outing" these board members for you: Current and Former Board Presidents Turek and Nelson. It is quite sad to realize the censorship that the Administration now resorts to when publishing the community member's comments and concerns! We would also invite all of you to review these comments to see if those you submitted were actually published. We know from past surveys that some parents believe the Administration has not necessarily published all of the submitted comments. If you believe your comments were not published, please let us know, but more importantly, please alert the Board of Education. We know there are a lot of comments, but what this means is that enough respondents felt it necessary to spell out their compliments, concerns and questions rather than just apply the “rating scale” the Administration was using to gather data. Kevin Russell is D181’s Assistant Superintendent of Learning (Curriculum, Assessment and Instruction). When Kevin Russell was Principal of Walker School back in 2008-2010, District 181 was a much different place. Under the leadership of recently retired Superintendent, Mary Curley, the district had undergone standardization among all schools, upgrades to buildings, and new innovative programs to serve all children. The school board at that time believed the district needed to move forward and championed changes that were founded and researched carefully. Reading specialists were employed in each building, special education services were centralized for greater control at the central office so all schools would be in sync with specific programming, and gifted specialists were hired for each school to provide support for tiered instructional services. Moreover, the use of RtIs was limited only for remedial reading services; Mr. Russell and other building principals were not required to establish and then participate in numerous meetings with parents, teachers and staff to supposedly provide increased rigor, as is currently the protocol. My, how things have changed, and not for the better. In his three years as principal of one of the smallest schools in the district, Mr. Russell cultivated a solid rapport with parents and teachers. He was well liked, and personally still is, especially for his interpersonal skills. It is clear he was able to build a solid foundation for himself and the reputation of Walker school, but because of the school structure at that time, which included the tiered programming, special education centralization, and building reading and gifted specialists, Russell had rich resources to work with, and his teachers had smaller groups to manage. Consequently, the teachers and students performed optimally, which was demonstrated with solid MAP gains. Yes, herein is a noteworthy fact: when teachers have smaller, focused instructional groups established through homogeneous groupings, they are able to focus and target their instruction to meet the needs of each child. Period. Higher MAP and ISAT test results from years past, as were highlighted in a previous blog post, support this fact. Unfortunately, one of Dr. Schuster’s first initiatives upon assuming her role as Superintendent was to end the concept of homogeneous groupings and focus on differentiation as the sole instructional strategy within a single heterogeneous classroom. As we have discussed in previous posts and the district has now demonstrated through test results, this concept has proven detrimental to the students throughout D181, which Dr Moon noted in her report. We must remember that as a principal, Mr. Russell had a solid structure within the walls of Walker School, giving him the supports for success that our current principals no longer have.